1. What is Tibetan medicine? Tibetan medicine is the traditional medicine of Tibet which has been practised for the last 2500 years and is based on Buddhist philosophical principles and the close relationship between mind and body. 2. Does the Dalai Lama take Tibetan medicine? Yes, His Holiness the Dalai Lama is a great fan of Tibetan medicine. He regularly takes Tibetan medicine and he also knows a great deal about Tibetan medicine. 3. What is Tibetan medicine most beneficial for? From my own experience of practising Tibetan medicine for 15 years in the West, Tibetan medicine is beneficial for chronic problems such as - digestive disorders, asthma, arthritis (hands), eczema, sinusitis, liver and kidney problems , circulation problems , anxiety, sleep disorders, the heart and problem related to nervous system. 4. In the Tibetan medicines that you prescribe are there any animal products? No, Tibet is called men-jong which means the land of medicinal plants. We do not need to harm animals. We have got hundreds of herbal formulas which we prescribe for different illnesses. 5. Does Tibetan medicine contain any preservatives or artificial flavours? No, that is why Tibetan medicine tastes bitter. 6. Do I have to be a Buddhist to take Tibetan medicine? No, you don’t have to be a Buddhist to take Tibetan medicine, you don’t have to be Tibetan either!! 7. Are the medicines blessed according to Buddhist rituals? 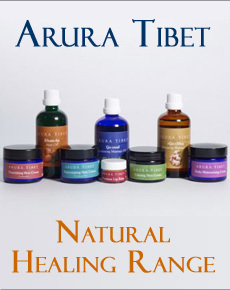 Yes, Tibetan medicines are blessed and consecrated according to the Tibetan Buddhist tradition. You can recite Medicine Buddha mantras and bless the medicines yourself if you are a Buddhist. 8. Do I have to bring a urine sample to each consultation? Yes, each time you come to see a Tibetan doctor you must bring your urine sample in a sterilised container. 9. How long does a consultation with a Tibetan doctor last for? The first consultation will take around 45 minutes and it also depends on how complicated your problems are. Subsequent consultations need not take so long, around 30 minutes. 10. How long will I have to take Tibetan medicine? It just depends how chronic your problem is. 11. Why does Tibetan medicine taste so bitter? Because no artificial flavours are used in Tibetan medicine, also if you are taking Tibetan medicine for liver or gallbladder problems the medicines have to be bitter in order to activate the related organs. 12. What is the best way to take Tibetan medicine? Soak the pills in a half cup of hot water and leave them for 30 minute. You can remove the pills with a spoon, put the pills in your mouth, crush them with your teeth and drink the remaining water. 13. Why is Tibetan medicine taken with hot water? Tibetan medicinal pills are very hard so if you take them with hot water they will be much easier to digest. 14. Are there any side effects from taking Tibetan medicines? Generally no, because Tibetan medicine formulas are very balanced. For example the formula sPos gkar 10, is one of the medicines we use to treat arthritis but it also has in its ingredients Saussurea lappa which is for the stomach and Adhatoda vasica which is to regulate blood pressure. 15. Can I study Tibetan medicine and become a Tibetan doctor? At present the four Tibetan medical texts have not been completely translated into English, therefore a thorough knowledge of the Tibetan language will be required if you wish to study Tibetan medicine. I am sure this will be possible in the future.